Barbie® Opens the Doors to Her Real Life Dreamhouse® | Mattel Inc.
LOS ANGELES--(BUSINESS WIRE)-- On the high heels of Barbie® doll's recent announcement that she's selling her Malibu mansion, the style icon revealed that, for the first time ever, fans worldwide will now be able to literally step inside her world with Barbie™ The Dreamhouse Experience. Two life-sized houses - complete with pink elevators, a walk-in "glitterizer," an endless closet and a dazzling "diamond" ring display -- will be unveiled in South Florida at Sawgrass Mills and Berlin, Germany in March 2013. The Dreamhouse® has been a fictional Malibu landmark as well as one of the most coveted toy homes for more than four decades. 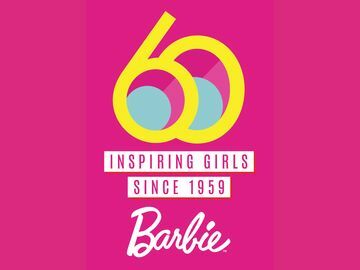 The original Barbie® Dreamhouse® debuted in 1962, providing girls with the backdrop to "play house" with Barbie®. In March, the real life Dreamhouses will provide an unprecedented opportunity to interact with Barbie, her friends and family, and truly see what it's like to live her dreamy life. Using Radio Frequency Identification (RFID) technology bracelets and LED touch screens, fans can also create their own personalized experiences during the tour — including digitally "trying on" Barbie® doll's fabulous fashions. "This year, Barbie is inviting fans into her world to explore what they've only played with in doll size," said Lori Pantel, vice president, global marketing for Barbie. "Barbie's life-sized Dreamhouses will provide fans a new way to interact and engage with the Barbie brand while providing a memorable experience." 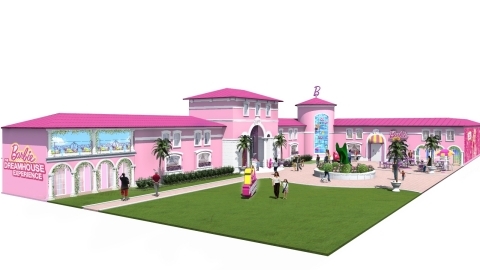 Inspired by the house in the popular web series, "Barbie™ Life in the Dreamhouse," Barbie™ The Dreamhouse Experience was designed, developed and built by EMS Entertainment, a global leader in the live exhibition community. The Dreamhouse® was built in less than a year, using more than 20 pounds of glitter and 100 gallons of pink paint to decorate the 25,000 square foot Berlin and the 10,000 square foot South Florida Dreamhouses. "We've paid incredible attention to detail and created a completely interactive experience by using the latest technology to personalize each fan's visit to the Dreamhouse," says Christoph Rahofer, president and CEO of EMS Entertainment. 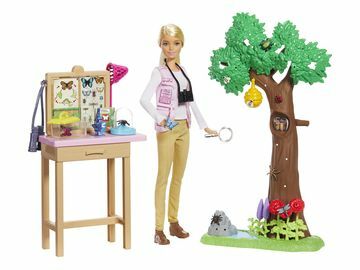 "Together with our partner Mattel, we are building a first of its kind experience for Barbie fans around the world." Barbie® doll's best friends, family and pets are also featured throughout the experience in unexpected ways with animation, photography and interactive games creating an engaging experience for Barbie® fans of all ages. More than 350 Barbie® dolls and other collector memorabilia will be on display and fans can purchase the Barbie™ Dreamhouse doll and accessories onsite at the Barbie® Dreamhouse® boutiques. Fans can choose between general admission tickets, starting at US$14.95 and 12 € for children ages three to 12, and several other packages including specials for school groups, families of five, and a VIP Megastar Experience, which includes access to the Barbie® "Fashion Runway" and the "Rockstar Stage." Barbie™ The Dreamhouse Experience is currently scheduled to run through the end of 2013. For more information and pricing, visit www.barbiedreamhouse.com. Mattel, Inc. (NASDAQ:MAT) (www.mattel.com) is the worldwide leader in the design, manufacture and marketing of toys and family products. The Mattel family is comprised of such best-selling brands as Barbie®, the most popular fashion doll ever introduced, Hot Wheels®, Matchbox®, American Girl®, Radica® and Tyco R/C®, as well as Fisher-Price® brands, including Thomas & Friends®, Little People®, Power Wheels® and a wide array of entertainment-inspired toy lines. In 2012, Mattel was named as one of FORTUNE Magazine's "100 Best Companies to Work For" for the fifth year in a row. Mattel also is ranked among Corporate Responsibility Magazine's "100 Best Corporate Citizens." With worldwide headquarters in El Segundo, Calif., Mattel employs approximately 28,000 people in 43 countries and territories and sells products in more than 150 nations. At Mattel, we are "Creating the Future of Play." Follow Mattel on Facebook: www.facebook.com/mattel. EMS is the leading global creator of world-renowned interactive exhibitions, family entertainment and live stage productions. Each year, millions of people experience EMS productions throughout Europe, North America, Asia Pacific and Latin America. The EMS portfolio includes Barbie™ The Dreamhouse Experience, CSI: The Experience®, Star Trek™: The Exhibition, Leonardo DaVinci — Man | Inventor | Genius, Terracotta Army, Dinosaurs - LIVE!, 1000 years of INCA gold and many more through partnerships with Mattel, CBS, 20th Century Fox and others.